Do you require assistance with resume writing, job search coaching or interview training? I have been a recruiter and a career coach since obtaining a M.A. in I/O Psychology. I am able to ascertain client needs and facilitate the job search process with great success. I can be reached at (773) 525-2450; please don’t hesitate to reach out to me to gather some information or ask follow up questions. Michael E. Robbins, M.A. has 60 links managed on Repio. Michael is a Career Coach for Harvard Oaks Enterprises. He assists with career transitions, including resume/cover letter writing, professional profile creation, interview skills and job search accommodations. After working as an Executive Recruiter, Michael identified various strategies which led to interviews for his candidates. He now applies these initiatives to help his Lakeview candidates. Michael has worked with clients at all levels and in multiple industries. Each profile requires unique keywords and information; don’t hesitate to reach out for additional information. Everyone has experienced nerves during an interview, but practice makes permanent; the more you practice, the more comfortable you will feel delivering answers the employer is searching. Come in for a small group or 1-on-1 interview training at the Discovery Center near the corner of Diversey and Lincoln. This page provides tweets regarding job opportunities and resume writing/interviewing tips. Find out how to become more noticeable as a candidate. 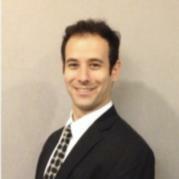 Michael has been a recruiter and is an expert in the field of interview tips and strategies. The Myers-Briggs Type Indicator (MBTI) can provide insight regarding the strengths and potential areas of improvement for each individual. What is your most natural source of energy, the outer or inner world? Do you innately use creativity/imagination, or do you utilize common sense and practicality to identify solutions? Do you prefer to use facts or instincts to make decisions? Are you a planner or do you take the world as it comes? Find out the answers to these questions by taking the Myers-Briggs Type Indicator. This test is the most valid and reliable personality assessment available, and was originated from the typological theories proposed by Carl Jung. Michael Robbins is a certified MBTI assessor, and offers the opportunity to help you identify the strengths and areas of improvement in your business and personal life.